The BFI’s Anime Weekend returns to BFI Southbank from Friday 3 – Sunday 5 June; this much anticipated biennial event boasts an excellent selection of recent work, as well as previews of the best forthcoming anime releases. 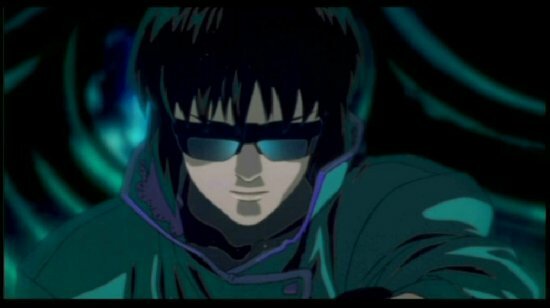 To celebrate Manga Entertainment’s 25th birthday the weekend will include a screening of the legendary Ghost in the Shell (Mamoru Oshii, 1995) alongside the franchise’s newest tale Ghost in the Shell: the New Movie (Kazuya Nomura, 2015). Mamoru Oshii, director of Ghost in the Shell, has also recently directed his first English-language film Garm Wars: The Last Druid (2014); this live action film will also be screened during the weekend. In honour of Japanese science fiction writer Satoshi Ito, who died in 2009 aged 34 with three sci-fi novels under his belt, there will be screenings of Harmony (Michael Arias, Takashi Nakamura, 2015) and Empire of the Corpses (Ryôtarô Makihara, 2015), based on his third book and unfinished fourth book respectively. The screening of Harmony will be followed by a Q&A with director Michael Arias. Arias has had a varied filmmaking career, spanning the worlds of visual effects, computer graphics, and traditional animation; early in his career he worked as a camera assistant on the motion control stages of such effects-heavy films as The Abyss and Total Recall and he later created digital sequences for the likes of David Cronenberg, the Coen Brothers, and Spike Lee. In 2003 Arias produced the Matrix-inspired anthology film The Animatrix, and in 2006 made his feature directing debut with Tekkonkinkreet, which was shown at the Berlinale and was awarded Japan’s Academy Award for Best Animated Feature Film. The latest Studio Ghibli film When Marnie Was There (Hiromasa Yonebayashi, 2014) will also receive a special family preview; this Oscar-nominated film is an exquisitely hand-drawn treat, and if Hayao Miyazaki and Toshio Suzuki are to be believed, it is the final Studio Ghibli for the foreseeable future. There will also be a preview of The Boy and the Beast (2015), the latest film from the great Mamoru Hosoda, director of The Girl Who Leapt Through Time and Wolf Children.